If you have a Mac, the easiest way to edit your PDF scripts is to use Highland. A major reason we recommend you send your script out as a PDF is that PDF scripts are not easily editable. And while that is usually an asset, it is an obvious problem if you need to edit the script. 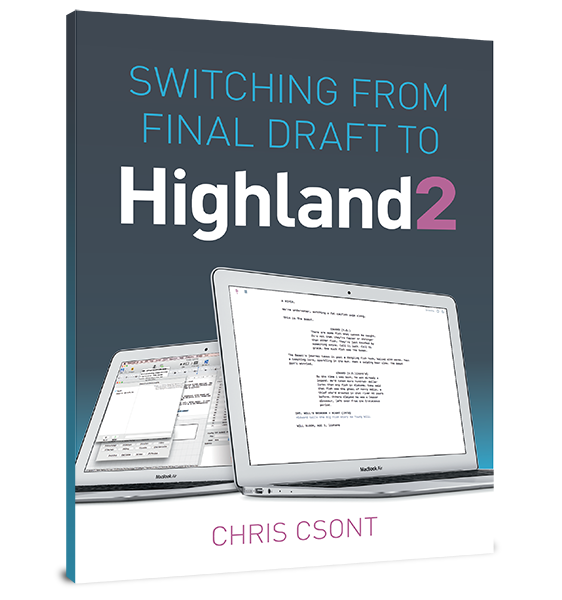 Highland is a screenplay utility for Mac that seamlessly converts PDF screenplays to editable Fountain or Final Draft files, and back again. (It’s also a text editor, so you can write your screenplay directly in Highland, too.) It is available in the Mac App Store. It is also possible to export your PDF script as plain text (using Adobe Reader or another program) and open that directly with Final Draft. The resulting document will most likely need a great deal of reformatting, though, and will include cruft like page numbers and out of place CONT’Ds.